The NHL’s St. Louis Blues has one of the best fan bases in US pro sports. Enterprise Center (formally known as Scottrade Center) is sold out for every home game which is no small feat considering they share sports attention with the mighty St. Louis Cardinals. But the Blues have been focusing on digital & innovation for some years now which is showing up in everything they do - including with their business partners. Famous Footwear is a shoe retailer that caters to the whole family. In recent seasons, Blues fans, upon entering the arena, were handed a card with $10 off their next purchase at a Famous Footwear. Thing is, that is a bit old-school and definitely not the targeted advertising we’ve grown accustomed to. 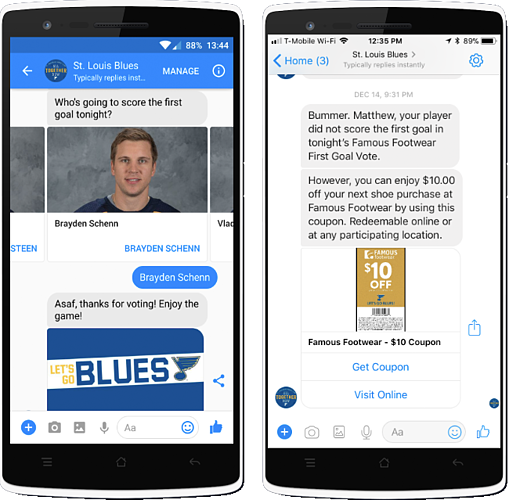 The Blues wanted to go digital, entice the fans to participate interactively so that whenever they visit a Famous Footwear store or want to buy online, that coupon is right there in their phone. Working with Pico, the personal communication platform, got this digital activation rolling. 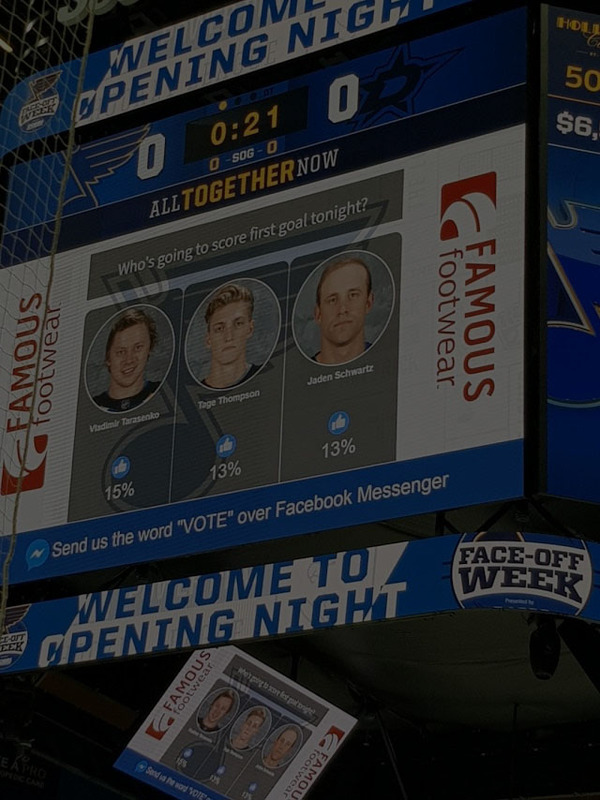 Fans were asked to send the word “Vote” over Facebook Messenger - it was triggered either from the Blues digital accounts or from the new, state of the art, video display screen they call AVA for fans entering the building. One fan that picked correctly would receive an autographed puck. The activation had an easy point of entry, without asking fans to download an app, and high value. 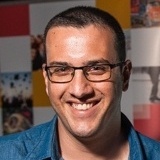 Powered by Pico, real-time voting results were displayed on AVA, showing participants’ Facebook Messenger avatars on the screen - which always encouraged more participation. Once that first goal was scored (or the game ended - whichever came first), the fans received a message back with the name of the goal scorer and whether they won the signed puck. In any case, following that message, they received a digital coupon of $10 off, through a link - one click away from redeeming the discount. The Blues were very happy with the engagement rates of this activation. They created new revenue streams while interacting with their fans - wherever they are. Click-Through Rates were much higher than the industry average which reflected in financial ROI. Fans got to show their hockey knowledge and prediction capabilities - all without being disrupted by marketing-heavy messaging. This was seamless, quick, intuitive and fun!